Since the introduction of the current generation of hardware, the Dynasty Warriors series has been quite a rollercoaster ride. Omega Force, the franchise’s development studio, initially tried to shake things up with a completely new combat system and a number of other mechanical changes in Dynasty Warriors 6, but these changes were received with strong criticism from fans. In response, Omega Force went back to the drawing board for Dynasty Warriors 7, reverted back to the original combo system, and evolved the gameplay and presentation in ways that were much more welcome. And now, with roughly half a year before the formal introduction of Sony and Microsoft’s next consoles, Tecmo Koei brings us Dynasty Warriors 8. But is it another step up or down? Time to return to the battlefield once more for killing lots and lots of dudes. 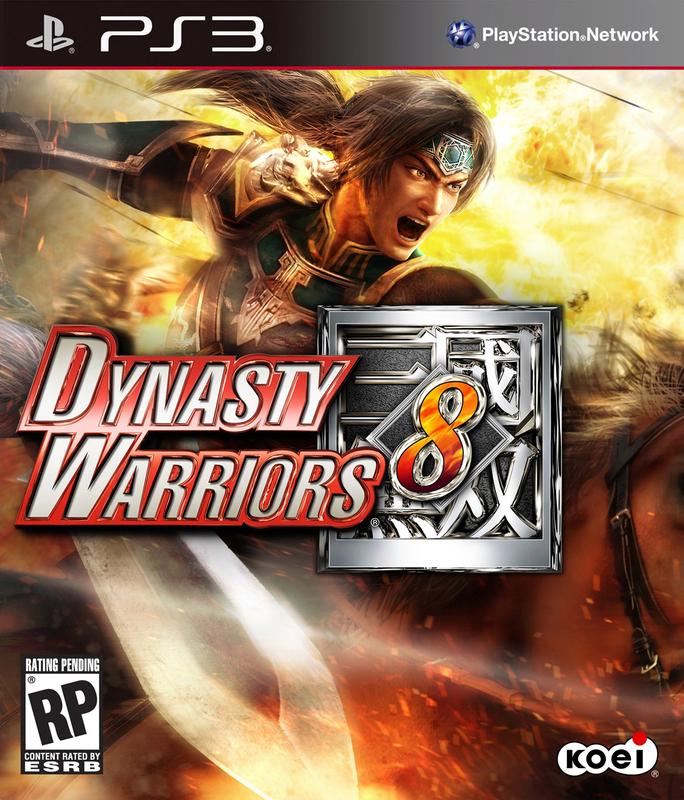 For the uninitiated, Dynasty Warriors 8 is the latest entry in a hack-and-slash action series where crowd control is the name of the game and K.O. counts routinely number in the hundreds if not thousands. The game is set against the backdrop of a loose adaptation of characters and events pulled from the Chinese historical novel Romance of the Three Kingdoms. Playing as a figure of the era, the player must engage foes in battle by running around large battlefields, cutting down enemy soldiers and officers, and completing the objectives required for victory. There are three primary modes of play; the story mode, which is a collection of five campaigns for the four represented factions and a collection of unaffiliated characters; a Free Mode, which allows the player to run through any unlocked stage with any character; and the new Ambition Mode, which I’ll touch on a bit later. Dynasty Warriors 8 intelligently builds off of the foundation laid by the previous game, introducing new mechanics to make the combat system easily the best that the series has ever seen. One piece of the foundation that Dynasty Warriors 7 laid was a new weapon-switching mechanic; characters could equip two weapons and switch between them freely on the battlefield. The one problem with this was that there was actually little to no reason to switch weapons at all. It was far too tempting to simply equip a character’s given EX weapon (i.e. : the character’s signature weapon) and cut down enemies without ever thinking of making the switch. 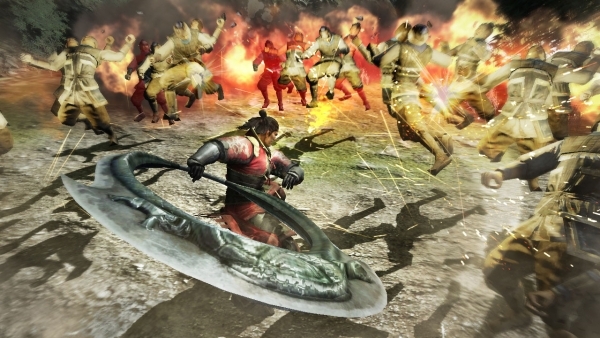 Dynasty Warriors 8 fills this gap by introducing a rock-paper-scissors mechanic that assigns all weapons one of three element types (Heaven, Earth, Man) and encourages players to swap back and forth to maintain the advantage over (or at the very least, keep even footing with) the enemy. Heaven beats Earth. Earth beats Man. Man beats Heaven. Building further upon this, there is a new type of attack called the Storm Rush. Essentially a bonus attack, it’s triggered when the player lands enough strikes on an opponent while using an advantageous weapon. Storm Rushes are a quick flurry of blows that can clear the immediate area of soldiers and deal a good chunk of damage to the more powerful officers. The other major addition is actually not a new mechanic, but a reintroduction of an old one. Rage attacks make their return from Dynasty Warriors 5, new and improved. When the player is in the rage state, which can be triggered once a special gauge is filled by dealing damage, a powerful rage attack can be launched, and as the combo meter builds up, the attack grows into a more powerful frenzy that can satisfyingly wipe a large swath of enemies clear off the map. This crowd is under control. 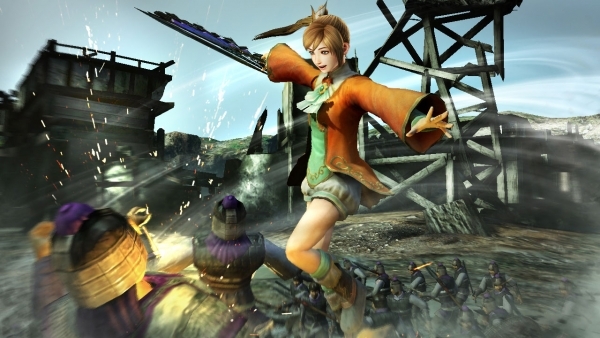 One of the biggest changes that Dynasty Warriors 7 made in comparison to its predecessors was in the story mode. Rather than present character-specific narratives, it told stories for each faction, with the character played dependent on the stage. This made for easily the best written and, while still incredibly loose, the most book-accurate adaptation of Romance of the Three Kingdoms in the series to that point; the only real downside being that the player had no choice regarding character selection. Dynasty Warriors 8 addresses this by allowing the player to select between two to four characters before each stage. It allows for more variety, but while the presented narratives match the quality of presentation in the previous game, the actual narrative adaptation is also looser as a result. There’s simply no way to make some of the characters playable in battle without taking serious liberties with the story. 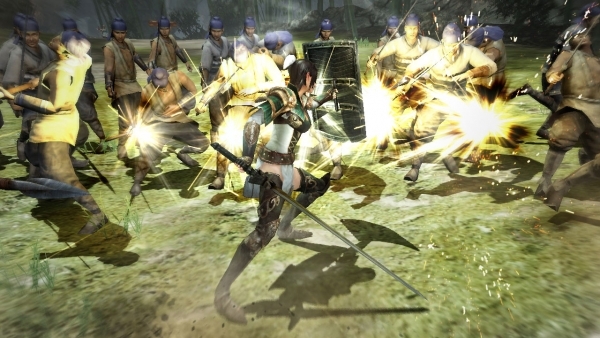 However, unlike Dynasty Warriors 7, the game offers branching narratives with both historical and “what if” scenarios. And then there’s Ambition Mode. All-new to the series, Ambition Mode can best be summarized as a survival mode with resource gathering. The premise puts the player’s chosen officer in charge of building a residence fit for the emperor in a rinky-dink backwater territory. In order to successfully attract the emperor, the player must go out into battles that allow for the gathering of allies, resources, and the acquisition of fame in order to grow the territory and gain the means to complete the construction project. The player can continue to engage in battle after battle, with the risks and rewards increasing with each step, though health does not regenerate between each round. It’s an entertaining and addicting new mode; one that is reminiscent of the strategically-focused Empires expansions of past Dynasty Warriors games, but replaces the act of conquering China with constructing a palace. Of course, the means to the end is always busting lots of heads. 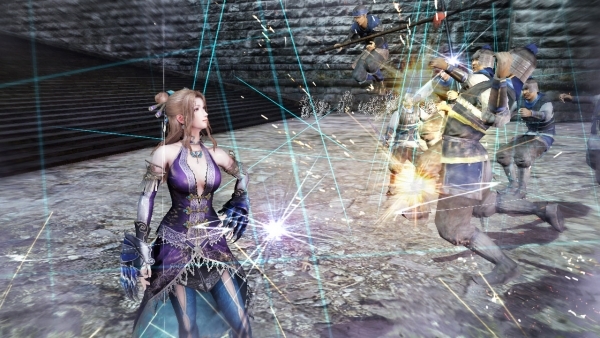 As in past entries of the series, Dynasty Warriors 8 also offers two-player co-op multiplayer, both split-screen and online. The online is fairly standard, with teams of players battling together to complete a selected stage. The only new twist comes in the form of Ambition Mode, which allows players to visit and shop at the villages of other players in addition to engaging in co-op battles together. To return to the game’s story mode, the stories themselves are entertaining and well-done. Presented with the feeling of an Asian historical drama, they each manage to tell fresh new takes on the narratives of the respective factions with the introduction of the roster’s new characters. Of particularly entertaining note is Zhang Chunhua, the wife of Wei strategist Sima Yi. In past entries, Sima Yi has been commonly characterized as a megalomaniacal schemer, but that attitude is now more subdued thanks in part to the comical way he’s cowed by the missus. Do not test Zhang Chunhua’s temper. DO NOT. When it comes to the game’s graphics, Dynasty Warriors 8 is certainly showing the age of the hardware it plays on. Not that different from the previous game in terms of looks, it manages to keep things fresh by giving the expansive roster a fresh wardrobe of costumes and an entirely new selection of maps. Regardless of the age of the hardware, however, the look is still a good one, and the game runs smoothly on the PS3. The 360 version (which I have not played) reportedly suffers from framerate issues that a forthcoming patch is meant to address. The graphics in Dynasty Warriors 8 aren’t a big step up from the previous entry, but they still look nice, and the characters have plenty of stylistic flair. 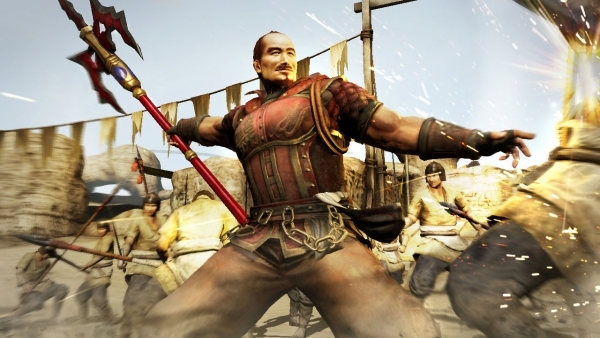 On the audio side, the game’s soundtrack is an entertaining mix of the series-standard guitar rock and more traditional Chinese instruments. The characters’ voices are all dubbed in English, with a noticeable portion of the more innocuous battlefield banter recycled from previous entries. The voice work is solid for the most part, though I do feel that at least a couple of the characters could be portrayed better. It’s a little rough at the edges, but the end result is still a solid, entertaining experience that does what any good sequel should do by making intelligent enhancements that add a new twist to the core elements of its design. The new characters and the introduction of Ambition Mode likewise bring new twists to both the game’s story and gameplay. Dynasty Warriors 8 is a top-notch entry in the long-running series and worth the time of any fan of the franchise, and a perfect jumping on point for those looking to try their hands at hacking and slashing away at thousands of enemy troops.